On July 1, 2017, the Towns of Marana and Sahuarita actively launched their Animal Services Divisions, providing Animal Control and Code Enforcement in their respective communities. The Humane Society of Southern Arizona is the sheltering service partner for both towns. If you need to release your owned pet, please call 520-327-6088 x 111 to schedule an appointment. The Humane Society of Southern Arizona (HSSA) is a managed intake facility. By managing the admissions of animals entering our shelter, we are better able to provide the appropriate space and care for each pet. Frequently Asked Questions I live in the Town of Marana/Town of Sahuarita and have found a stray dog or cat in the Town of Marana/Sahuarita. Is there a fee to take it to the Humane Society? No, if you are a resident of either Town and have found a stray pet in the Towns of Marana or Sahuarita, there is no fee. Call the Animal Services phone number for your town to speak with a representative. They may be able to pick the animal up from you and reunite it with its owner, or bring it directly to HSSA main campus. I have found a stray pet and it is injured. Who should I call? First of all, be careful! Injured pets are often scared and confused and could unintentionally hurt the finder. Call the Animal Services Division for your Town for assistance. The Humane Society of Southern Arizona is not a full service emergency clinic and both Towns have Veterinarians who can assist with injured pets. I need to relinquish ownership of my dog or cat. Is there a fee to take it to the Humane Society of Southern Arizona? Yes. As a non-profit animal welfare agency, we do charge a nominal fee for admitting owned pets. The admission fee for a single pet is $45 and $75 for a litter. Upon admission, incoming pets will be vaccinated to boost their immunity and protect them from illnesses common to animals in kenneling environments. More information on surrendering your pet to HSSA can be found here. 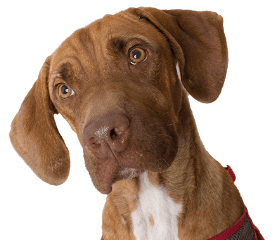 My pet is due for a rabies vaccine: Schedule an appointment with your veterinarian or visit any low cost vaccination service provider to get your pets’ vaccinations up to date. Licensing Renewal Information: As of July 1, 2017, the Towns of Marana and Sahuarita are offering licensing services for their residents. What if my pet is currently licensed through PACC? Your pets’ license is good until the expiration date. Once expired, you will need to license your pet per your Town’s guidelines. My pet ended up at HSSA. What do I do now? We understand that pets get loose and the Humane Society of Southern Arizona wants to help get pets back home! While we do have a fee schedule, we are flexible with first time “offenders” (we mean the pet, not you!). We will waive fees for pets that are current on licensing/vaccinations and are spayed or neutered. You can find more information on reclaiming your pet here.